Halloween 2012--Dinner and dessert PARTY! Less crowded than last year, but still a lot of fun! 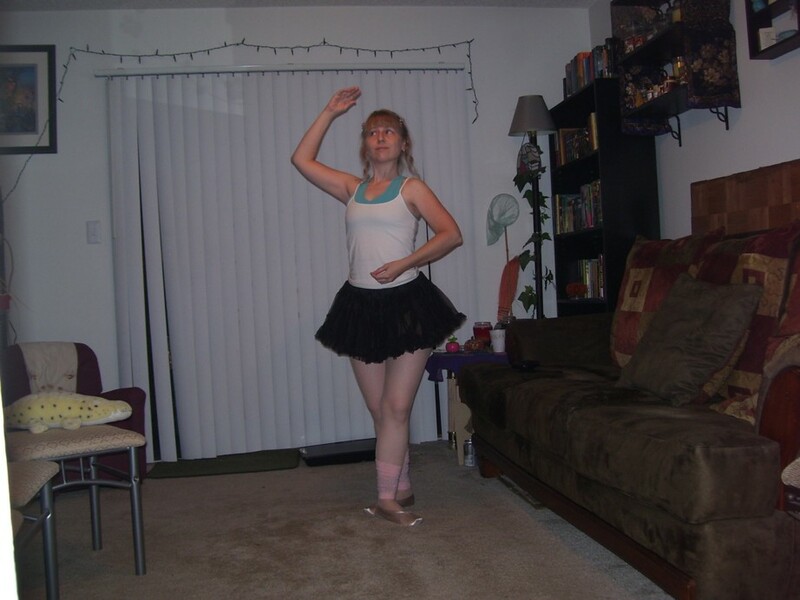 dancecostume.jpg: First, this is my costume: I'm a ballerina. 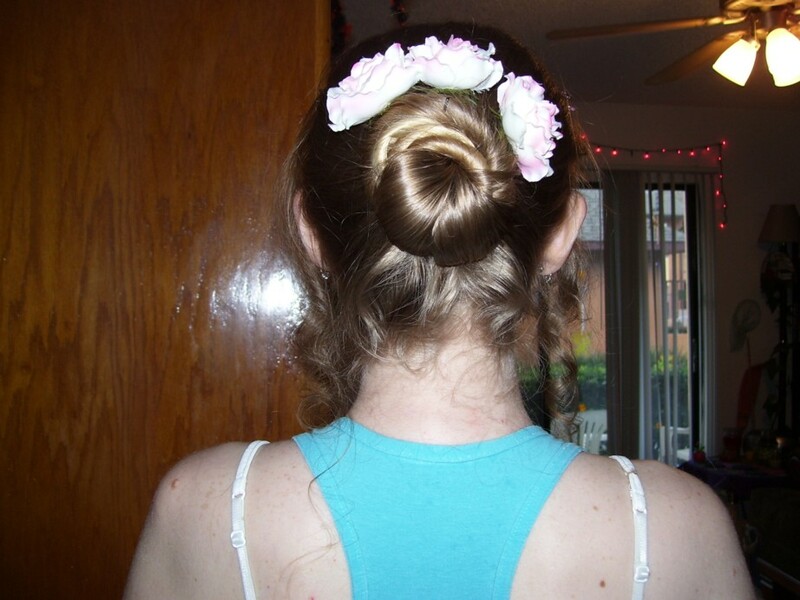 bunhair.jpg: My mom did my hair for me before the party. dancebuster.jpg: Derek was my first guest. Here we are together. He came as a Ghostbuster, as usual. 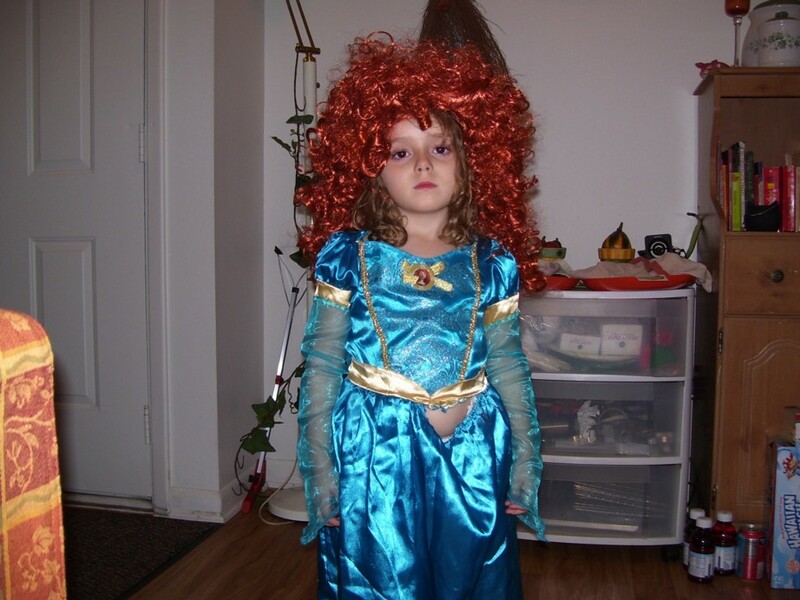 bravewig.jpg: One of my guests who does not want to be identified is wearing his daughter's Merida wig. 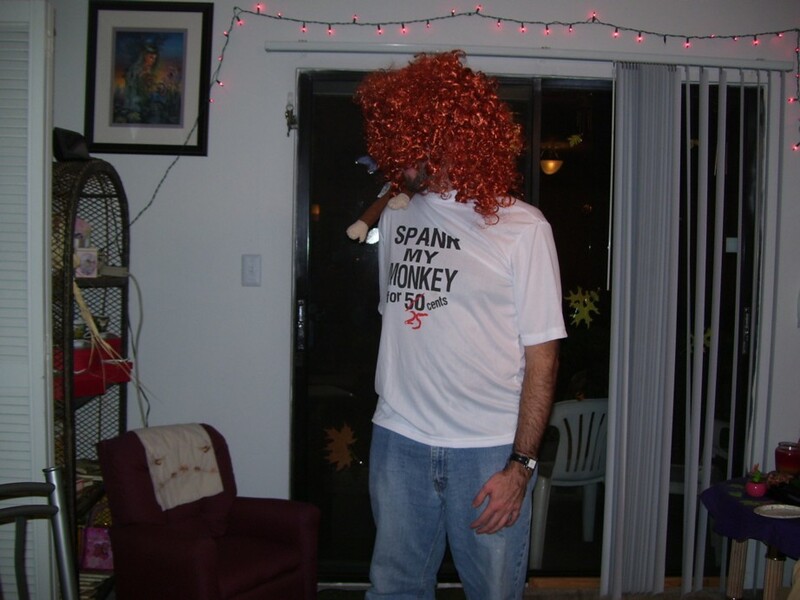 He is wearing a "spank my monkey" costume. With a stuffed monkey on his back. tiredpirate.jpg: Amazingly, Michael made it this year. 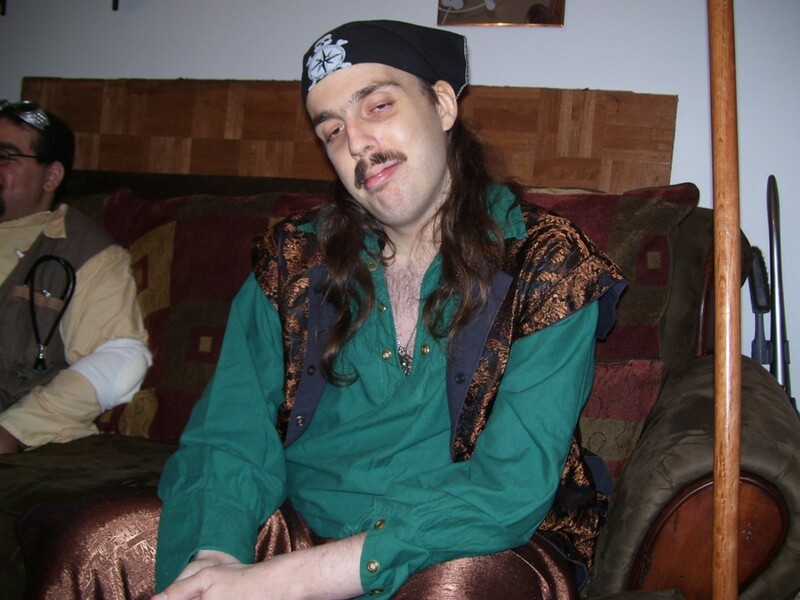 He'd just gotten out of the hospital and self-describes this photo as "the insomniac pirate." nomischief.jpg: Anita and Jef are not up to mischief! Not at all! 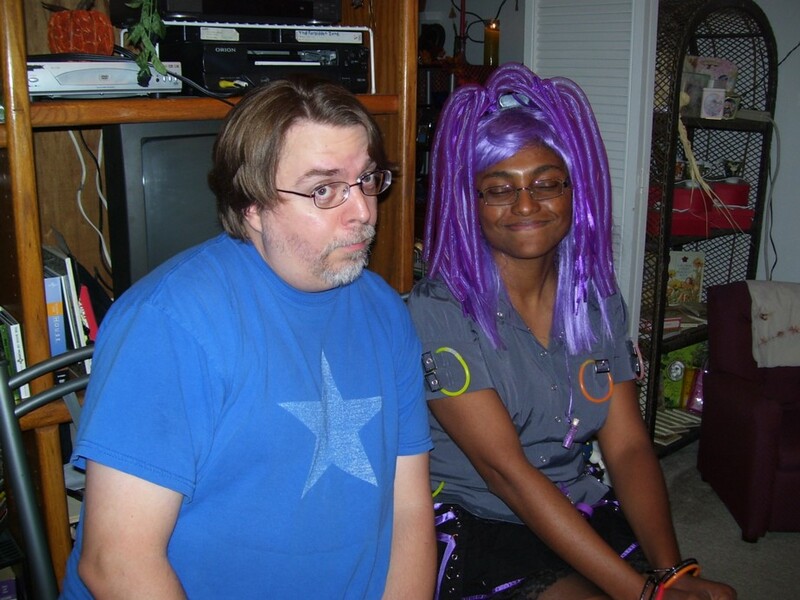 Here, Anita is her usual flashy self, and Jef said that his costume was "Retired Captain America." 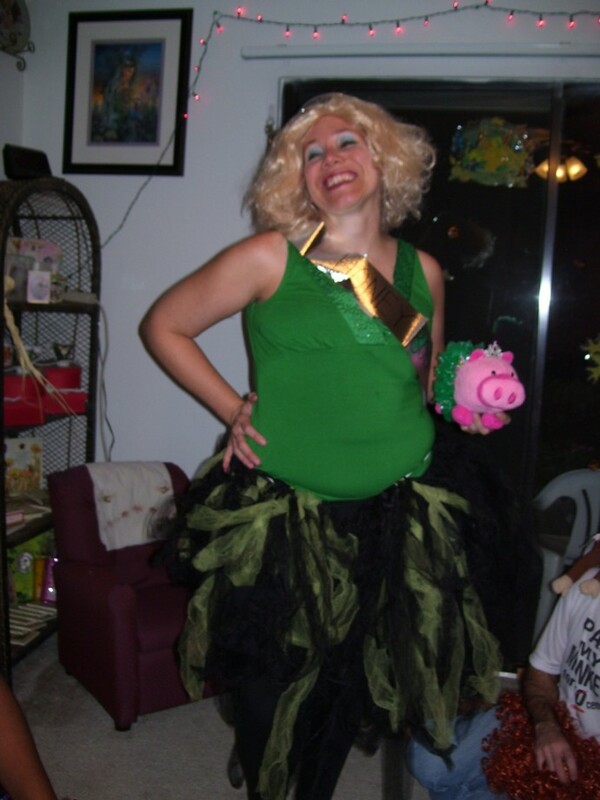 joybooboo.jpg: And Joy came as Honey Boo-Boo! She even had a dressed-up pig! Isn't that the greatest touch? 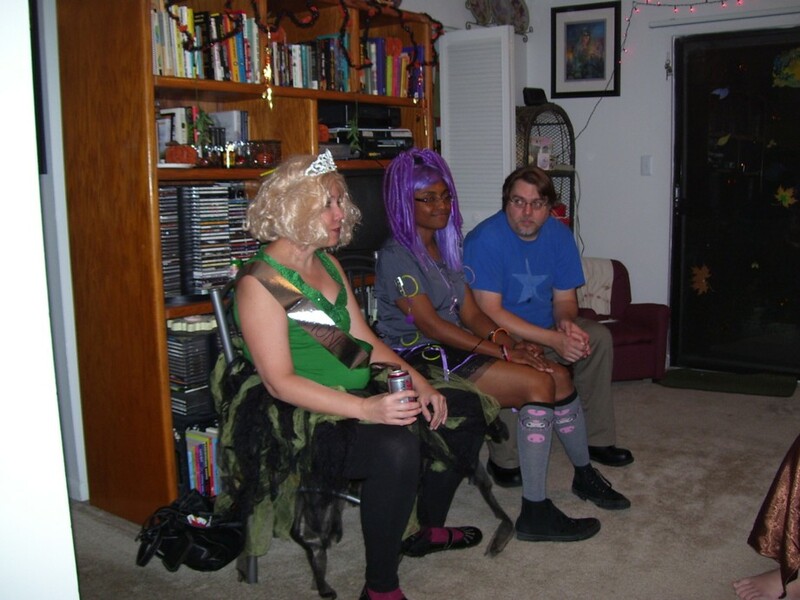 leftside.jpg: The left side of my party was Joy, Anita, and Jef. 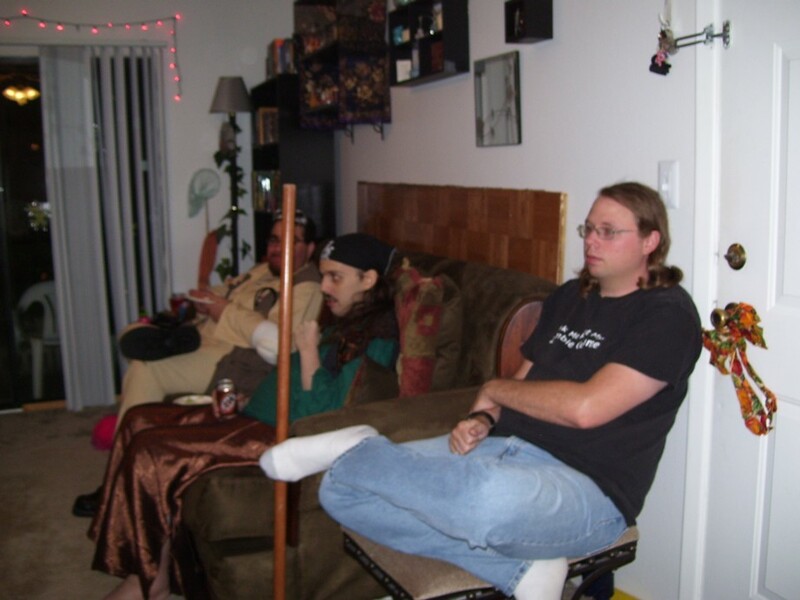 rightside.jpg: The right side of my party was Derek, Michael, and Jeaux. jeauxzombie.jpg: This is Jeaux's zombie costume. 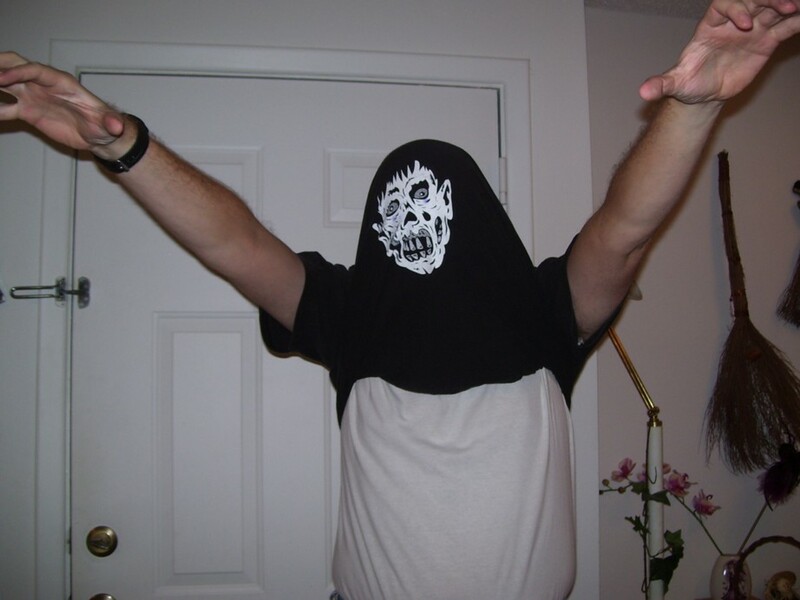 The front of the shirt says "Ask me about my zombie costume." bravechild.jpg: Our youngest party guest was four years old. She is Merida from Brave. 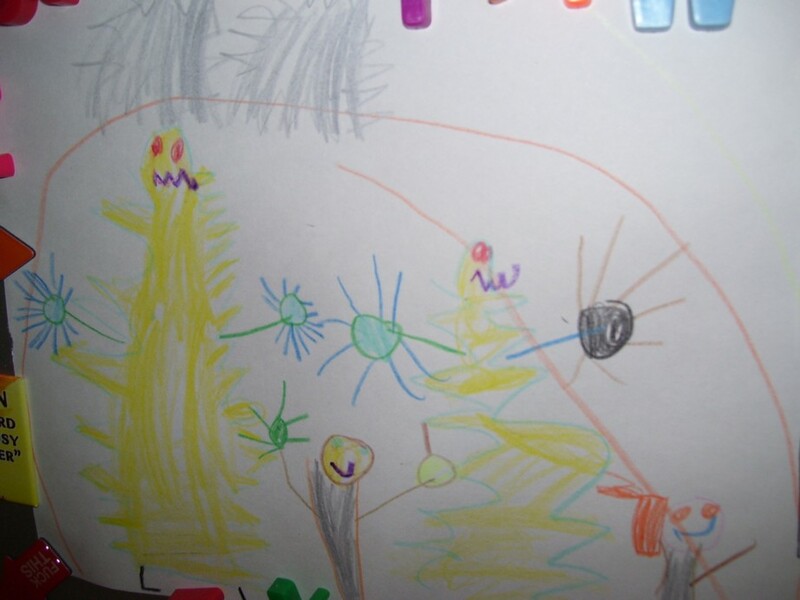 mumbles.jpg: This is the drawing she made for me and put on my fridge. It's supposed to be Mumble Monsters. They wear diapers that they never change. andfood.jpg: I fed people my blonde food again. 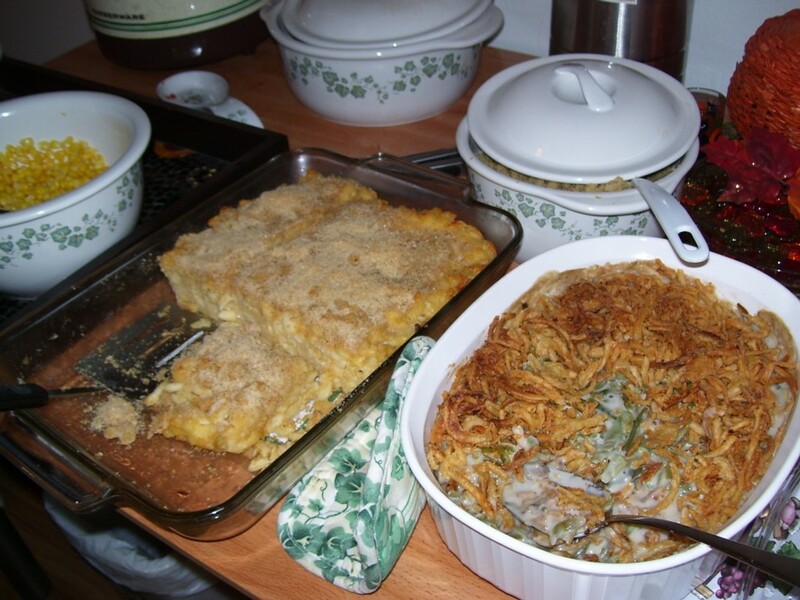 Macaroni, potatoes, corn, tater tots, couscous. My mom contributed meatballs and bean casserole. You can see the hot cider back there too.